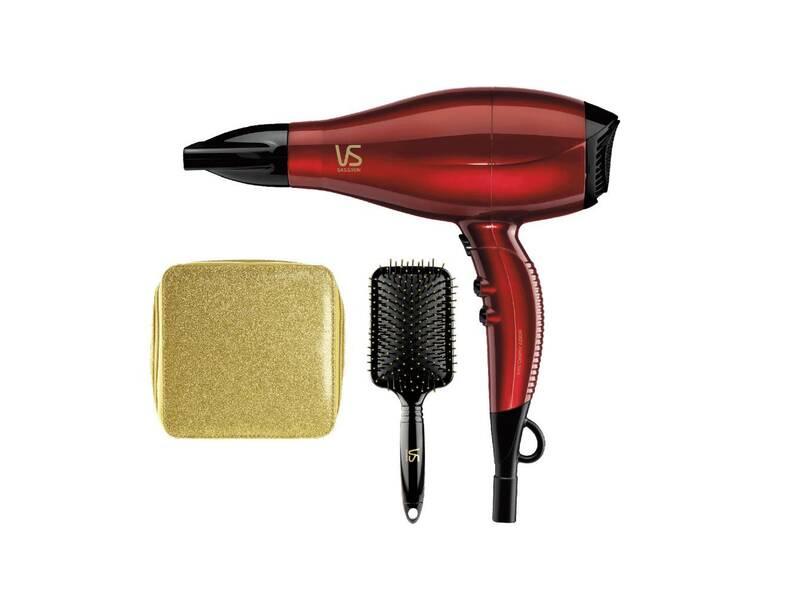 VS Sassoon Smooth & Shine Limited Edition Dryer Pack, the gift of an affordable salon finish. A must-have for a fashion forward bestie. This limited-edition gift set not only looks cute but packs a punch, with a salon grade AC motor that dries hair super fast with ionic and ceramic technology for frizz-free and ultra-shiny, silky smooth results. The Smooth & Shine Dryer comes perfectly packaged with a luxe gold jewel case and a bonus smoothing paddle brush that adds shine as you style – a gift pack that covers every base.